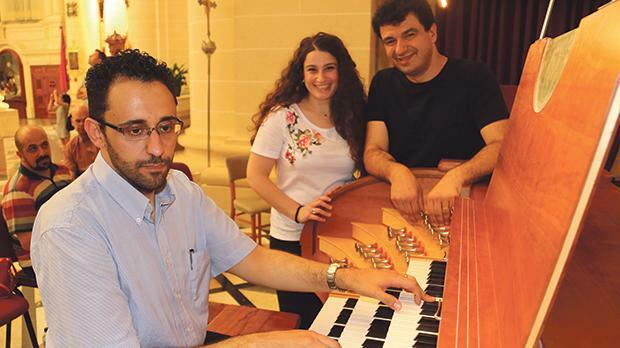 Noel Gallo, an organ builder who designed a new organ at Xewkija parish church and Paolo Oreni, an international organist from Italy, gave a two-hour masterclass to organists and other musicians at the church. 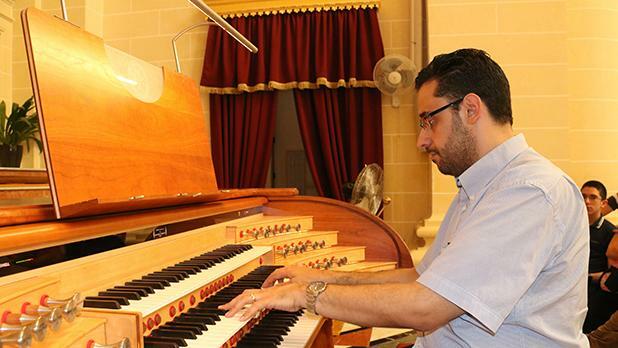 They also briefed pianists on the basics of organ performance and gave demonstrations on how organs are made and how they work. At the end of the session Oreni and Sara Musumeci also performed music by Bach, Liszt and Reubke on the same organ. 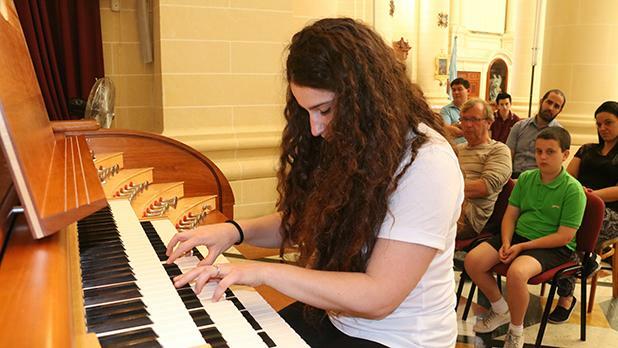 This was part of a series of concerts and masterclasses given by Gallo, Oreni and Musumeci in Malta and Gozo to encourage people explore the beauty of this instrument. 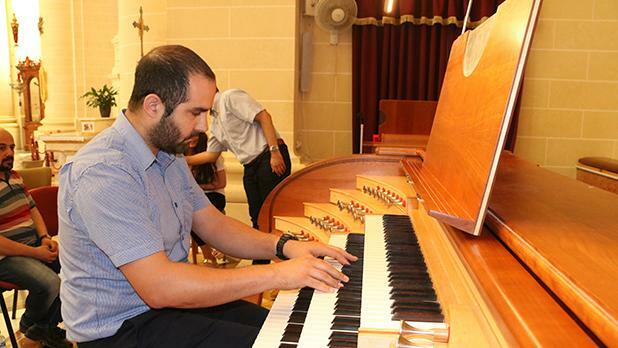 Picture shows Gallo playing the organ watched by Musumeci and Oreni.